For a huge number of anglers fishing for carp, especially in spring and summer is the most available. Fishing for carp in September has its own characteristics, because crucian fishing in the fall is a period of transition from active fishing to full attenuation of a bite of this fish with the onset of frost. In late August and early September in the life of the reservoirs of abrupt environmental changes caused by the decline in solar activity. preference fish more nutritious food than in summer, because autumn is the period of accumulation in fish stocks for the winter. after the arrival of the cool nights the bite starts after morning warmup water, with 11-12 hours or later. At the first signs of the sunset and evening cool air (16-17 hours) the biting stops. The daily weather is characterized by almost summer temperatures. In coastal vegetation, many feed larvae, beetles, small crustaceans. In this period the best fishing for carp on the borders of riparian vegetation, especially in the presence of wind toward the coast. This period ends in the middle of the month. The water in the shallow water cools, dies riparian vegetation – forage in the coastal zone becomes small. Karas moves to the deep parts of the reservoir. The best fishing be the exit from the pits and place warm water, for example, discharges of thermal power plants. This period starts from mid September and can last until the end of October. An exception to the General rule are saturated with oxygen deep watercourses in such reservoirs, the fish remain active throughout September. The most productive depths for fishing from 3 to 5 meters. As in summer when the attenuation of the bite has to experiment with lures. 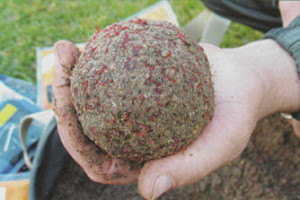 In the warm autumn days possible bite carp plant baits – bread crumb mastyrka, mash, canned corn, etc. On some bodies of water has the value of the amount of bait fish prefer big bunch of bloodworm or maggots, a few small worms instead of one big one. Sandwiches also consists of, for example, 2-3 maggots and the same amount of bloodworms. Telescopic pole from 4 to 7 meters. Short options of the rod (4-5 m) for boat fishing, long (6-7 m) for fishing from the shore. Floats with a load capacity of 1.5 — 3 g for heavy shipping gear. The need for such shipping is due to the often windy weather in September. Good floats with small and middle-sized body, floats with metal keel and the pen floats with mounting at the bottom. The hook should have a long handguard and match the bait. 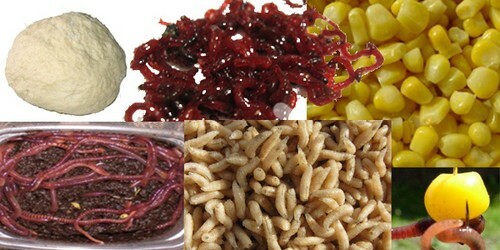 For fixing of baits such as bloodworm and maggots it is best to use thin hooks No. 12-16, for the worm No. 8-12. For fishing on the float rod from the boat it is convenient to use the jig. When fishing for large instances, the ideal option would be spinning coil is adjusted by the strength of the leash brake. Coil size from 1500 to 2500. • color main fishing line and the line matched to the color of the water in the pond or under color of aquatic vegetation. The tackle must be configured so that the bait touched the bottom, and not lying on it. 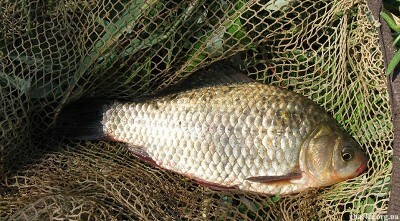 Since mid-September, a period when the carp are often hungry. Therefore, when you equip a fishing rod it is necessary to consider that the fish bite can be sharp, and the resistance desperate, as the autumn big carp are biting more often than in the summer. The feeder has clear advantages over float rod, especially in the second half of September, when the carp moves away from the coast in deep pits. In addition, the feeder is resistant to wind, and windy weather in autumn is not uncommon. 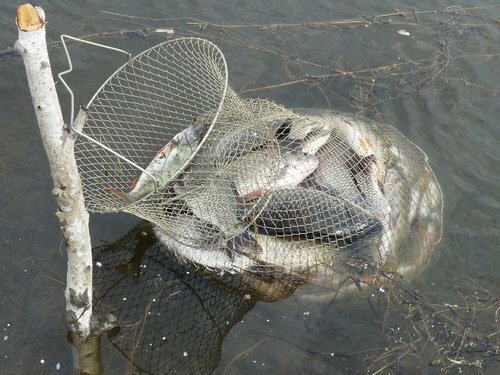 For catching carp on the feeder in September, best fit bodies attractive for dwelling fish bottom – holes, a pronounced direction, various irregularities and slow streams. used all the known feeder snap-in – paternoster, symmetric and asymmetric loop. Overall, it should be noted that although many anglers fishing for carp in the first autumn month is considered hopeless, in fact, success depends on the choice of catching and high-quality training. Bait remains a prerequisite for successful fishing. Changed the principle of feeding is the minimum amount with high caloric content. increased caloric content and minimal amount of bait must attract the fish and get it to eat without causing satiety. Good options for bait are shopping, but they require the addition of animal components, and in the autumn they can not add soil. the next portion of bait should throw only the complete cessation of the biting. A sufficient quantity is 1 ball of bait with a frequency of 45-60 minutes. In addition to commercially available baits anglers use homemade. For example, mix one part bran, breadcrumbs, ground oats, crushed hemp and peanuts, ground grain, two parts meal and animal component. As the dye used cocoa. For the September fishing on the feeder for carp anglers used the following tactics – all bait is thrown into the fishing early in the fishing and catching is done with a load on the snap instead of the trough. This decreases the risk that the fish will be overfed.